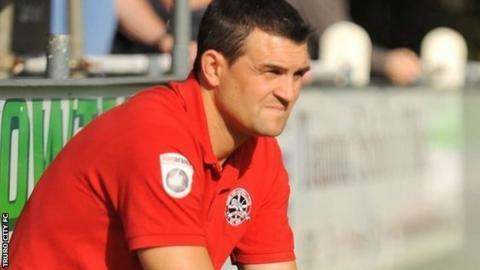 Truro City boss Steve Tully is hoping for a home draw in the FA Trophy after a comfortable win at Kingstonian. First-half goals from Dan Green and Matt Wright, along with a late strike from Isaac Vassell, saw the White Tigers progress by a 3-0 margin. "I'm delighted. The main aim is to get into the hat for the next round," Tully told BBC Radio Cornwall. "I felt despite the score of 3-0, we didn't play very well, but we got the job done and that's the main thing." Tully would love to National League side Torquay United, his former club, in the next round. "A home tie with Torquay would be great, I think that'd be a big local derby and we'd get a big crowd for the chairman." he said. "That's the tie we want, we're into the next round and we'll see where we're at."